I knew that life would at some point involve researching childcare AND researching nursing homes. But I never expected to do both in the same day. I found myself smack dab in the middle of what is being called the “Sandwich” Generation. 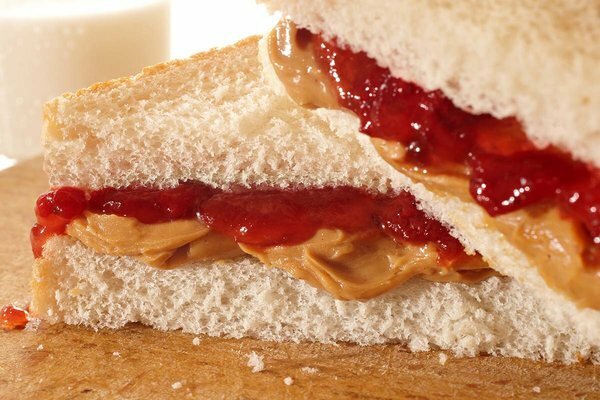 It’s neither appetizing nor nutritious and often as sticky as the metaphoric jelly of the PB&J center. Raising children of my own while caring for my aging parents leaves me and others in this Sandwich Generation, spread very thin. All parents have had “that” day. The one where each of the unique personalities of the little people you have created just comes crashing together in a collision of dysfunction. It feels like Hurricane Chaos has made landfall on your house and it’s not even 9 am yet. You are being pulled in 5 different directions. One kid is reminding you (although is it really a reminder if you don’t recall ever being told) that they needed cookies for the bake sale, and another just remembered they have soccer practice that night. I’ve lived THAT day more than once in my parenting career. The demands seem to be endless and the appreciation non-existent. You feel like you can’t handle even one more thing on your plate and then comes the sandwich. My kids were 5, 7 and 10 when I had my first taste of the sandwich. My mother’s health was failing, my father doesn’t know a PCP from an MVP and is easily misguided by the medical advice of his loyal bowling friends. When asking SIRI no longer got him the answers he needed, I was called in for backup. The medical diagnosis process was long and drawn out and of a subject matter for a whole other blog post but the reality was my mother was going to need ongoing care and my father was going to be limited in what he could safely provide. With my brother living out of town, I was now officially a mother with three young kids and a daughter with two parents in need of my care. Nothing brings you more respect than similar experience. In the heat of parenting young kids you realize how much your parents did for you. I often find myself reflecting on how my own mom did it. She seemed to handle it with more patience, more grace, more love. Or was she like the duck gliding across the pond looking calm and collected above water but paddling like hell underneath. No matter how she did it, she did it. And it’s my job, timing be damned, to be there for her. She replied to my whining with the statement “welcome to the Sandwich Generation.” Wait. What? This is really a thing? It has a name? I’m not ALONE? And there you have it. The best advice, as in with so much of life, is to know you aren’t alone.